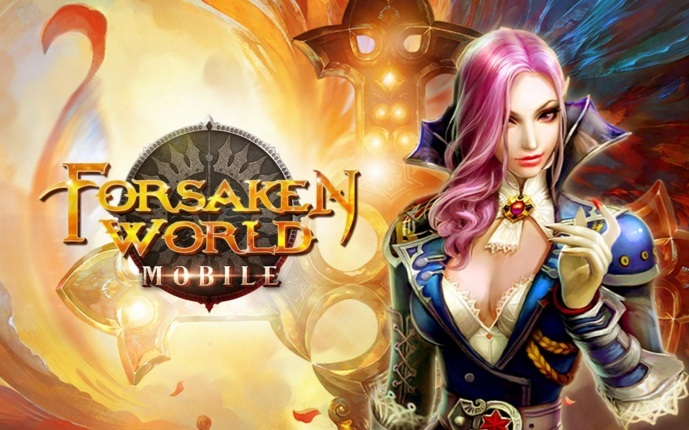 Forsaken World by Fedeen Games is the mobile version of the online PC game, and as a MMORPG free to play, it’s pretty good and offers many of the elements in the original game. If you have played some MMOs before, the set up should be familiar as you focus on developing your character’s skills while embarking on several adventures, including raiding dungeons and engage in team PvP as well. The graphics are pretty good and the controls are similar to other mobile MMORPG games, with panning of the camera not being that difficult as you just use a two finger swipe. It can be a challenge to do this while you’re attacking and moving at the same time, but it’s something you will learn quickly. And if you mess up the camera, just tap the reset button and the default view will be restored. You start by choosing from an assortment of characters like Warriors, Assassins, Kindred, Clerics and Mages. Visually the game is impressive and the combination of Western and Asian styles is nice and the attention to details is impressive to say the least. One of the more interesting features in the game is Dungeon Rush, where if you complete a dungeon raid and receive three stars, you’re given the option to finish it instantly without spending a lot of loot. This is a nice feature and should appeal to casual players who don’t have a lot of time to play the game. The learning curve for Forsaken World may be a bit difficult, but it’s worth as the game is immersive.